This fall and winter has been such a blessing! I feel like we’ve actually had cooler temperatures earlier than most years. There are even a few trees throughout The Woodlands with beautiful autumn leaves! I remember the last time I was 9 months pregnant in the “winter” time, I was sweating all the time and praying for cooler weather! I totally expected the same this year, but I have truly been pleasantly surprised! I met this beautiful family in the reforested area of WG Jones State Forest for their fall family session in North Houston. This particular location is just north of The Woodlands, but still south of Conroe. I love this location for its dreamy light on bright sunny days! The day of their session just happened to be one of those beautiful bright days with plenty of sunshine! If you like sunshine and trees, this location is definitely for you! It tends to be quite the popular location with photographers in the fall, so it is best to use for weekday sessions. Y’all! Just look at this gorgeous family of five! I had the honor of photographing their newborn earlier this year, and now their family session in the fall! I love getting to watch my families grow! That Daddy is a lucky guy to be surrounded by so many pretty girls! 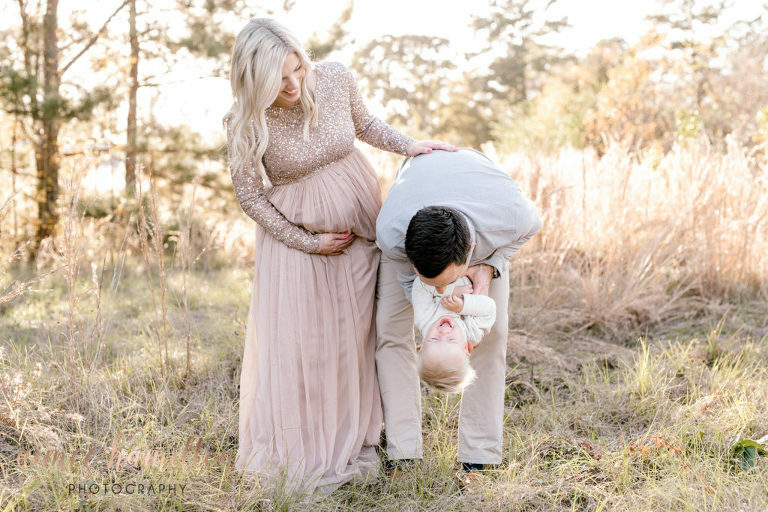 This sweet mama styled herself and her family so beautifully! I love the textures in their clothing, coordinating colors, and soft feminine feel! They all looked absolutely gorgeous in their dresses, pretty skirts, and floral accents! Aimee Hamilton is a local photographer serving Magnolia, Montgomery, The Woodlands, and North Houston areas! Travel to other locations is also always available, including Galveston! To book a session, give me a shout or visit my family information page here! A Special Black Friday Giveaway! Limited Time Only! It’s time! This holiday season, I thought we could have a little fun with a special Black Friday giveaway AND a few deals!! Who doesn’t love a good Black Friday deal, right? For one very lucky winner, I am giving away this gorgeous Rylapack diaper bag. These bags are gorgeous, yet simple, and perfect for your brand new baby! Each bag comes with tons of pockets to keep you organized, a convenient mommy pocket, and a changing pad. I personally love a back pack diaper bag because they are so much easier to carry! You can read more about them on their website. I just know you’re going to love them! Entering the giveaway is easy! Simply like and comment (with your favorite Christmas song) on the Instagram or Facebook post. For an extra entry, tag a local expectant mama! (Tags are unlimited!) Comments will be collected and the winner announced on Sunday, November 25th. Black Friday Weekend: The DEALS! Now, for the part you’ve all been waiting for! This year, I am offering $75 off the Elite Newborn Collection, $50 off Galveston Beach Photography, $25 off Fresh 48 newborn photography and 20% off prints and canvas! These offers are good on new sessions in 2019 only and must be booked by Monday at 5pm. I am currently booking sessions in the spring and summer of 2019! When you are ready to book your 2019 session, click here to get in touch with me! I am always happy to answer any questions that you may have! Ho Ho ho! Santa is Coming to The Woodlands area! *Update as of 11/3* These are sold out! Can you believe that the holidays are almost here? Where did this year go? AHP is hosting Santa mini-sessions in The Woodlands area this fall! If you’re looking for an easy going, line-free Santa portrait, these Santa mini-sessions are for you! I’m all about making things easy for my families! I know how hard it can be to get out to the mall and wait and line. Let’s take that stress out of your Santa portraits this year and have them done with as much fun as possible! Santa will be coming to my studio on Sunday November 18th. Santa Mini Sessions will be held from 9am-1pm. Each family (kids only) will have 10 minutes with Santa. He will have a book to read, a list to check with older kiddos, and can sneak up behind kids who aren’t so sure! One of my favorite things is the moment they first notice Santa! It can be excitement or tears, you just never know! I will do my best to try to capture smiles and the tears that are so typical of Santa pictures and toddlers! Your Santa session will come with 5 high resolution digital images and the option to purchase additional files when you receive your gallery. All families will also receive a complimentary style guide to help you plan your wardrobe and look your best! Ready to book your Santa mini session in The Woodlands area? Head over to this link to book your session online! If you have any trouble with the process, please reach out to me! I’m always here to help or answer any questions that you may have! Hurry, there are only a few spots remaining! *The AHP studio is located just a few minutes north of The Woodlands around FM2978 and FM1488. I recently updated my studio, and I’m so excited about the new light and airy design! I chose to use light, neutral colors in my studio, and I love how simple and beautiful it is with soft, light spilling through the room. Using simple, neutral finishes makes the studio the perfect place for a variety of sessions, from maternity, to newborn, to family photos. It also allows me to get creative with seasonal or other décor, like with my upcoming Christmas mini-sessions. I love the simple neutral color scheme they chose for their wardrobe. The dress worn here by mama is a new addition to the studio collection. It will look great in a maternity or newborn session. Wardrobe is so important and has such a huge impact on the look and feel of your family’s photos. I’m happy to offer a client wardrobe full of pieces that photograph beautifully and are figure flattering. Also, my amazing make-up artist came out to pamper this sweet mama. Sometimes, a little pampering is just what a mama needs! I told dad that he needs to hire a sitter so that he can take her on a date since she looked so fantastic! If you’re ready to book your session in the new studio, head over here to get in touch with me today! Or visit my website if you need more details or pricing information for maternity or newborn photos. I look forward to getting to know you and your family! 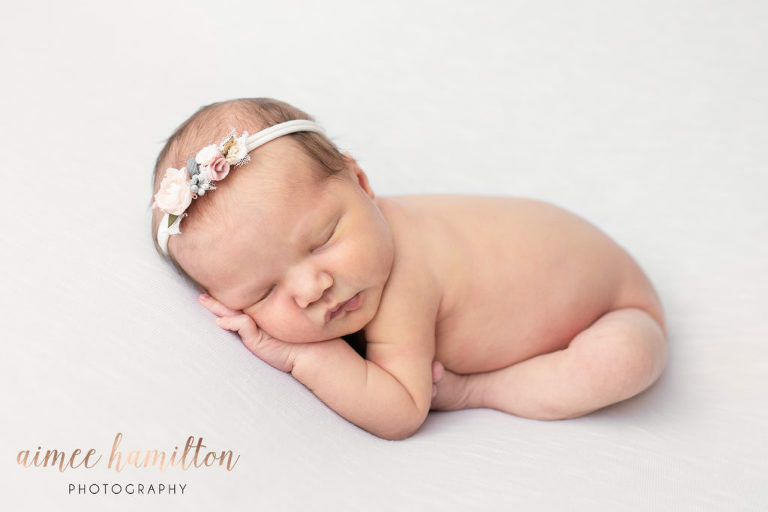 Aimee Hamilton is a newborn and family photographer in the North Houston area (and surrounding areas including The Woodlands, Montgomery, Magnolia, Conroe, and Tomball) and offers studio sessions at her newly updated studio in Montgomery, TX. Christmas Mini-Session in Your PJs! Christmas PJs are one of my favorites things about Christmas morning! I love that no one has to get dressed before the big celebrations begin! (Okay, at least that’s how we do it in my house!) This year I decided to bring some of that joy to you! Come dressed in your PJs and ready for FUN! We will sing along to Christmas music, eat a Christmas cookie, and just have some fun! These sessions are perfect for young kiddos who still believe in the magic of Christmas! What is included in your Christmas Mini Session? This year, I am offering two packages for your Christmas minis. The kids only session will be morning sessions that include a personalized Christmas cookie, all the props you see here, 15 minutes, and 8 digital images. Family mini sessions will be offered in the afternoon on a white couch instead of the white bed. Family sessions will include a personalized Christmas cookie for each person, the wreaths seen here, 15 minutes and 10 digital images. I’ve heard lots of fantastic places to buy Christmas PJs lately! I always like to encourage you to buy from small business owners first! If you are in need of PJs this year, my friend LeighAnn is selling these adorable PJs and many other styles! The sizes range from gowns for newborns to adults! Join her Facebook group here to order yours! I will also include a list of places to shop when you book your session! After your session, I’m happy to help you create Christmas cards, mini-accordion albums for Christmas gifts, ornaments, or a canvas to hang on your walls! I think it would be so fun to hang your Christmas images year after year and watch your kids (and families) grow! When you are ready to book your session, head over here! The studio is located just a few short minutes north of The Woodlands! Feel free to send me an email with any other questions that you may have! For Santa Sessions on 11/18, click here! I grew up in Houston and I’ve been to Galveston more times than I can count. Our water is unfortunately very brown, but that’s just way it is. I don’t remember a time that it wasn’t! As a kid, I didn’t know there was anything different! I didn’t see white sand beaches and clear water until I was in college! On Friday, before my Saturday session, I read that the water down in Galveston was clear and blue again! I seriously couldn’t wait to see it for myself. Y’all. The water really was amazing! I’ve never seen anything like it! I was so thankful to be blessed with a session on such a great day to be a Galveston TX Family Photographer! There is something truly magical about the beach. Everyone in the family is always happy at the beach! Babies and kids are truly excited to play in the water! Smiles are genuine and joy just takes over! If you get the opportunity, take the beach location every time! Next time you are considering a trip down to Galveston, make sure you take your favorite photographer with you! I encourage you to do it at least once! 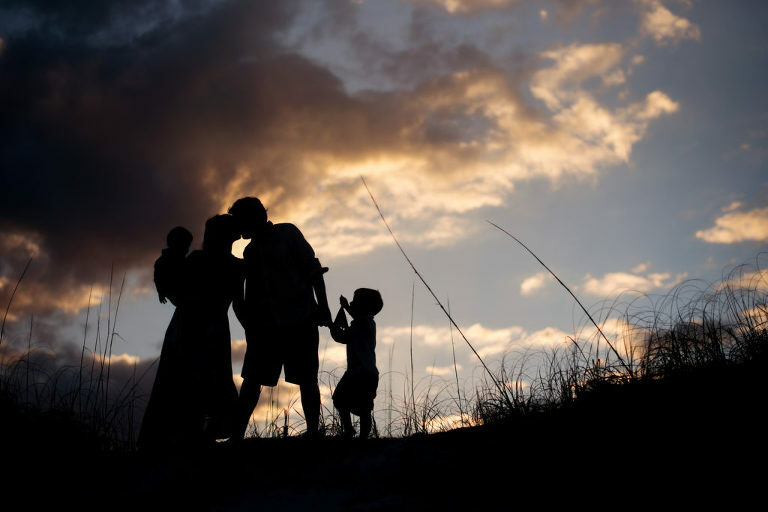 It’s a game changer for your family portraits! Interested in booking a session with me? Check out all the details here! Be sure to read the Galveston section! 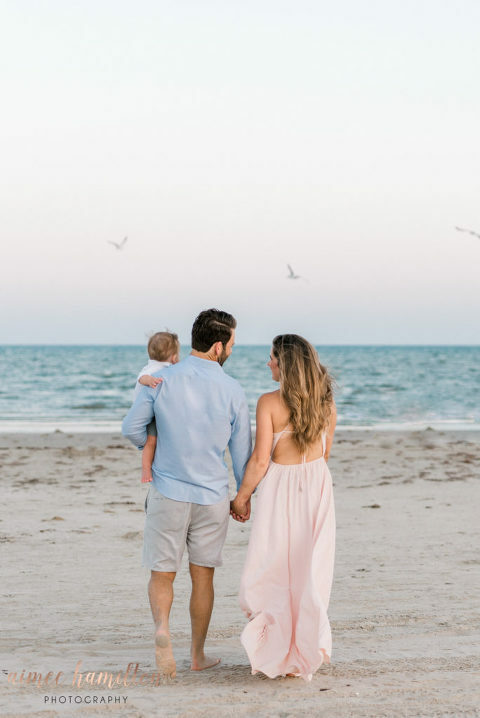 Aimee Hamilton Photography is a Galveston, TX family photographer based in Montgomery, Texas. AHP serves The Woodlands, Magnolia, Montgomery, and Tomball, Texas. Hi guys! I thought we would have a little fun this summer and have a Stock the Studio Sale! This sweet girl will definitely be our last little one to join our family. I’m really looking forward to doing maternity pictures for the first time! I know there are more of you out there that would love some maternity portraits that are definitely budget friendly! If you will be 28-35 weeks pregnant in August or September, this opportunity is perfect for you! What is a Stock the Studio Sale? This is a very simple event! You will have the opportunity to purchase your favorite maternity dress from a list I have created. Then, you will receive a completely free maternity session, including digitals! After the session, your dress will be donated to the studio wardrobe in exchange for your maternity portraits. The list of dresses can be found in my private Facebook group. If you’re not on Facebook, I’m happy to email the list to you as well! The list has a wide range of prices from about $60 to $350. Each participant will be given three images for dresses under $200. (You may also purchase multiple to put you over the limit.) Participants who purchase dresses over $200 will be given 15 digitals and the ability to choose the studio or my field location. For a little sneak peek, check out Fillyboo Maternity dresses! These dresses are simply beautiful! I’m actually going to wear one for my own portraits! You can’t go wrong with one of these! When and Where will the session be? All maternity sessions will be scheduled for August or September, but sign-up will end on Friday, July 20th. I want to make sure that you have plenty of time to order your dress. Some will take longer to arrive than others, so we will need to plan accordingly. I will begin scheduling sessions when your receipt is received. My studio is located in Magnolia, Texas near the intersection of 1488 and Tamina Road. Clients will have the ability to choose between my studio (with a light and airy look) or my outdoor field location. The field is less than 10 minutes from my studio! If you are interested in participating, please complete this link. Be sure to include your dress choices from the list I have provided! I will be in touch with chosen participants asap!